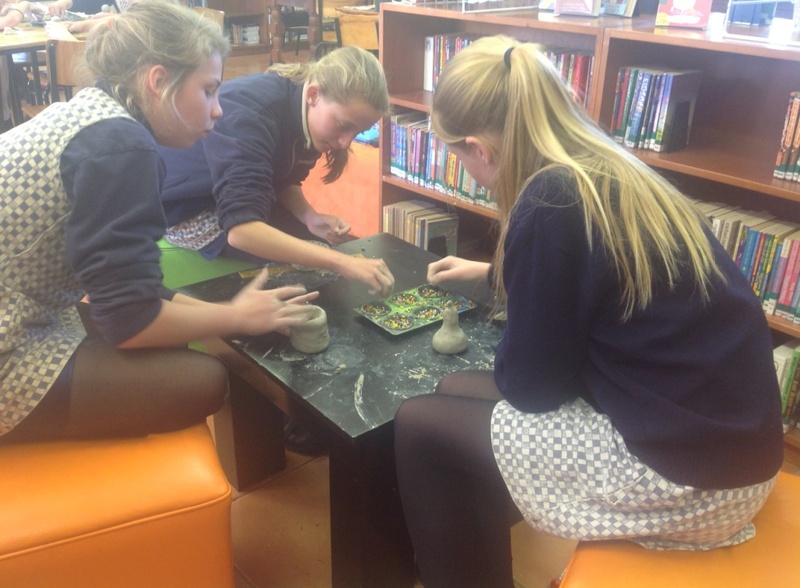 Our library is also used as the Xhosa classroom. Xhosa is the predominant indigenous language of the Eastern Cape Province of South Africa. 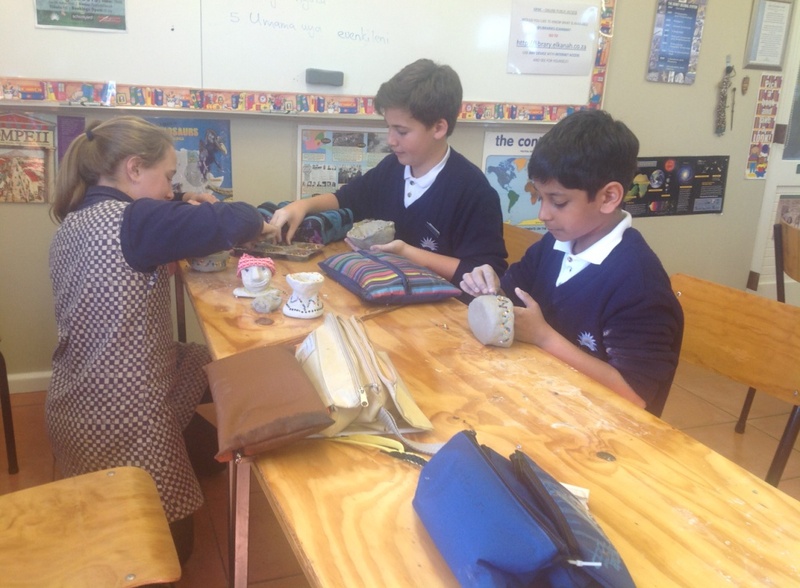 Here the Grade 6 pupils are doing clay work, making African clay pots.